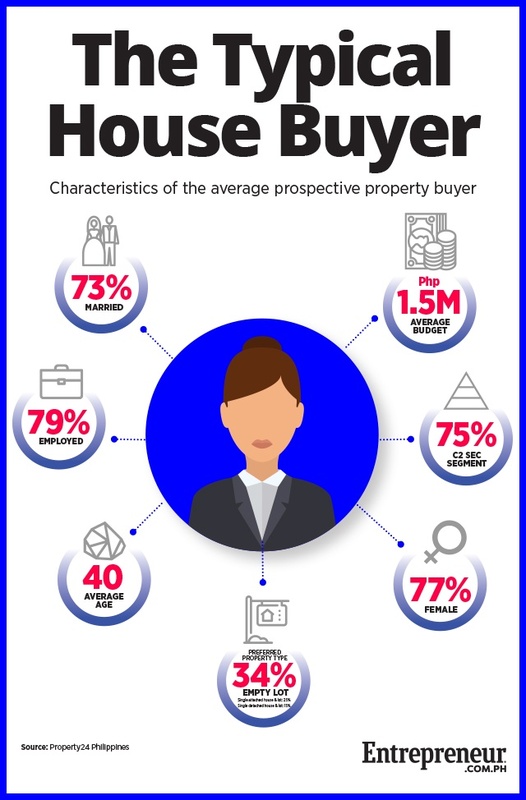 On average, Filipino property buyers allocate Php1.5 million in their budget for purchasing a house, according to a study by real estate portal Property24. The study, which surveyed 152 Filipinos nationwide, aims to profile the typical property buyer in the country. The data was compiled by the Philippine arm of Property24, a listings site for property developments. It is part of the OLX Group, which runs the country’s largest online listings manager. Property24’s finding coincided with recent data from real estate analyst Colliers International Philippines. In its latest report on the country’s residential market, Colliers found that 45 percent of pre-selling take-up for residential condominium units in the first half of 2017 were in the affordable and economic categories, which refer to units priced Php3.2 million and below. Perez said that these findings point to mothers being the primary property buyers among Filipinos. He related this to how mothers are the typical decision-makers when it comes to matters of the household. Lorenzo Kyle Subido is a staff writer of Entrepreneur PH.